Medzini, Meron (1971) (英語). 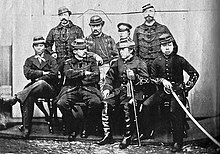 French policy in Japan during the closing years of the Tokugawa regime. Harvard East Asian monographs. Cambridge, Mass. Harvard Univ. Press. ISBN 0674322304.